The Best Bait For Bluegill You Need To Bring! Getting the best bait for bluegill is essential. If you are usually fishing in freshwater, there is a good chance that this fish is present. However, figuring out the right bait for bluegill is quite difficult. But if you can get a working bait, then you can get a bountiful catch in no time! Of course, it is your duty as an angler to think outside of the box. You have to experiment and try various baits. One particular bait might work on one day, but not the next. This is because bluegills are quite picky. Therefore, you need to bring various baits to hook them in! Fortunately, there are a plethora of options when it comes to bluegill baits. At this point, you should realize that the "best bait for bluegill" is subjective. It just really depends on to the taste of the fish! There is a need for you to understand which type of bait and lures to use in different fishing situations. In this way, your chances of getting a good catch drastically improve. For the meantime, you have two choices: the n﻿﻿a﻿﻿tural bait and the artificial lures. Each of them has variety of size, color, and type. As an angler, you already know that every fish have their particular food preferences. As a result, not all type of baits will be able to work with them. Therefore, you need to be careful on which lure to select to ensure a successful catch. Of course, you also need to test the water and the weather. All of these factors affect the temperament of the fish. Once you can get all of these right, your fishing experience will be truly splendid. Fish have preferences. They can be attracted to the odor, color, and appearance of the bait. Most of the time, natural baits offer these genuine characteristics. On the other hand, artificial lures just mimic these qualities. 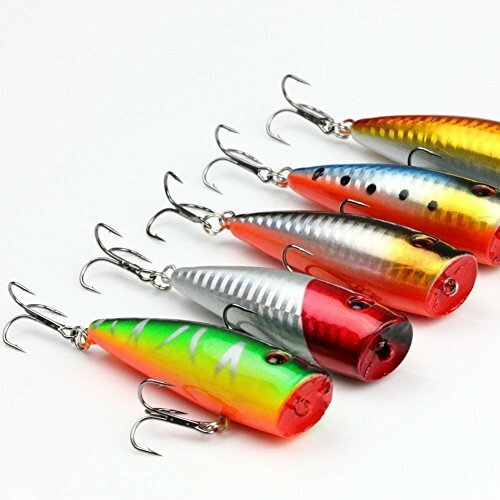 Moreover, these lures are rubbed with powder to attract fish. Natural baits always possess the edge. However, artificial baits can be used many times. Therefore, they minimize the inconvenience of catching natural baits from time to time. There are varieties of fishing bait you can use for bluegill. For natural baits, they are attracted to night crawlers, leaf worms, red worms, wax worms, minnows, and white bread. These fish are also a fan of crickets and hotdog, too! Each of these lures possess unique characteristics that can be used for a particular type of fish. You can maximize the potential of these lures by giving them additional weight. In this way, you can hover them in various freshwater areas. When it comes to bluegill, the best baits you can use are poppers and spoons. You should know that bluegill is a member of the Sunfish family. Poppers and spoons are designed to cater all fish that belong to this species. A popper has vertical concave surface. It got its name from the popping sound it creates every time you tug it with the rig. This bait usually mimics the shape of insects. They float on the water, too. Bluegills are usually attracted to them. Therefore, you can guarantee that you can have a great catching experience once you have poppers inside your tackle box. The design of a spoon bait makes it wobble side to side each time you retrieve it. It resembles a speed minnow, which is a favorite of bluegill. You need to put weight on this bait so that it will be submerged in the water. Aside from bluegill, spoons also work with pike, bass, walleye, and other varieties of large fish. There are different ways to amplify the potential of fishing baits. We recommend that you follow them to make sure that your fishing trip won't turn into a drought! 1. Always keep on mind where you are fishing. You should know that freshwater baits won't work on saltwater. Because of this, you need to pick the right bait for a particular fishing situation. 2. Of course, it is always essential to make the bait look and smell natural. If the fish notices that they are not their real food, they won't dare to come near to it. Therefore, you need to buy the best bait for bluegill to ensure that these qualities are present. 3. You need to fish at the right time so you should know when these fish are active. You can't just float on the water while waiting for the fish to come out. That's is just a waste of time and energy! In this case, keep in mind that most bluegills are active at night. 4. You also need to fish naked. And no, we are not referring to you. We’re talking about your terminal tackle. Remove all the essentials to it such as sinkers, floats, and swivels. Just leave the bait and the hook.The floating mechanism of a bare baited hook makes it flutter. As a result, big bluegill won't be able to resist it. One of the best poppers in the market today is the Rapala Rattlin. As long as you got this fishing bait, you can be certain that you can catch those burly bluegills in no time! It sinks gradually but retrieves at a fast rate. This feature makes this bait amazing! Moreover, the Rapala Rattlin Fishing Lures possess loud and shallow running crankbait. It also has full-size treble hooks to ensure that those fish won't be able to escape. Perhaps, the main selling point of this fishing bait is the sound it produces. It can generate sound that is uniform, harmonic, and in-sync with nature. These sounds intensify the curiosity of the bluegill. As a result, they will swim towards your trap! Aside from this feature, these fishing lures are very wobbling. This kind of motion makes them irresistible to bluegill. Even other types of freshwater creatures will also find the "wobble" very hypnotizing! As we mentioned, bluegills are great fans of worms. Therefore, you should give these treats to them. The Berkley Gulp is a set of artificial bait worms. They are made from high-quality materials, which makes them look natural and fresh! Moreover, these baits are engineered so that they can attract fish. Specifically, these baits are using the extreme scent dispersion. With this, the bait can attract schools of fish towards you. 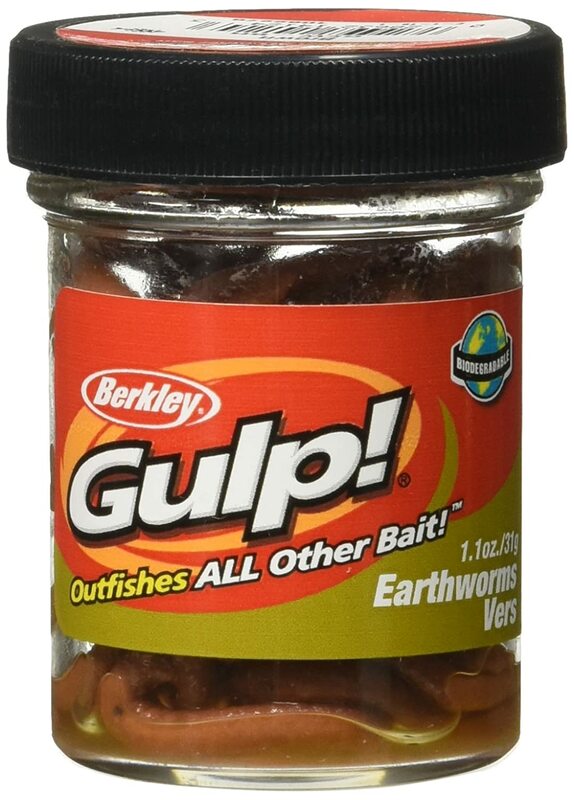 Aside from bluegill, the Berkley Gulp also works with many fish species. Therefore, it is one of the most versatile fishing lures on the market today. Each of the worms is 4-inch in size and weighs around 1.1 ounces. These dimensions make them very irresistible to bluegills! The Berkley Gulp worms are more durable than the real thing. They smell even better than the original, too! These lures are great for live bait rigs, weedless hooks, and spinners! 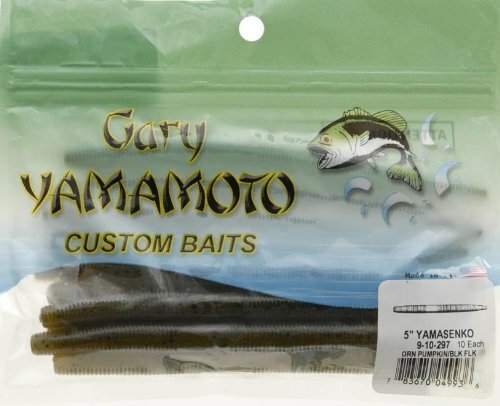 Another artificial worm bait that you should try is the Yamamoto Senko. This brand of artificial lure is one of the favorites of many anglers around the world. The Yamamoto Senko baits may look simple, but they are still very irresistible to many fish. These thick and round artificial worms are created from a huge volume of salt. Once they are dipped in the water, those underwater creatures will certainly flock to them! If you rig these baits without any weights, they will submerge smoothly in the water. While submerging, the lures create an alluring side-to-side tail action. This motion makes them highly attractive to the eyes of the bluegills. Ideally, you can rig this bait using either the Texas or wacky style. Once you do any of these, you can surely benefit from the versatility of the Yamamoto Senko baits. One of the most brilliant poppers we have seen is the Rose Kuli Multi Jointed Bait. The appearance of the bait mimics the real color and pattern of live fishing lures. It also produces realistic swimming action while underwater. Therefore, you can expect that bluegills won't be able to resist this bait! The Rose Kuli Multi-Jointed Bait is extremely versatile. It can perform well in different conditions and water columns. You can also use this bait on either slow or high-speed setting. The bait is rigged with two treble hooks. These hooks are full-sized and made from quality materials. As a result, the fish won't be able to escape once it hooks up. The bait is also designed for fast retrieval. You will love that the Rose Kuli Multi-Jointed Bait is highly durable. Even the biggest and most active bluegill won't be able to break this bait. Its hinge is highly flexible, too! The last but not the least is the A-SZCXTOP Popper Lure. It’s one of your best choices when it comes to bluegill baits. This bait recreates the smooth and fast drive actions of live lures. Moreover, the baits come with bright and seductive colors to mesmerize those big fish! This bait is designed to give rapid and big action, albeit its small size. Specifically, it can generate alluring rolling and wobbling movements to attract schools of bluegill. Of course, this hook won't be great if it doesn't have sturdy hooks. The hooks are made from high-carbon steel. With this construction, you will be confident to tackle these large underwater predators. Moreover, the bait also has low decoupling rate. 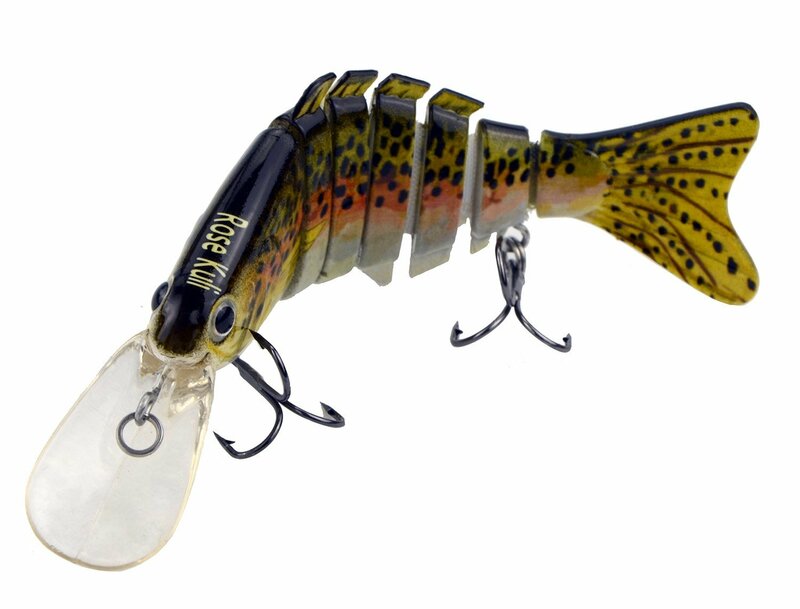 The body of the A-SZCXTOP Popper Lure has external scales. It also has holographic eyes that make it realistic to the eyes of the fish! These are the best baits for bluegill. All of these can ensure that you can catch this variety of fish. Each of them possesses qualities that efficiently attracts fish and any underwater creatures. Bring any of them, and you can guarantee that you won't go home empty-handed. Of course, the best bait for bluegill is the Rose Kuli Multi-Jointed Bait. This popper bait is highly realistic and produces life-like swimming action. Its appearance is also irresistible to bluegill as well! However, we recommend that you should purchase all these lures for your next fishing trip. As we mentioned, one fishing lure may not work, depending on the situation. Just bring them to ensure that you can adapt to any fishing conditions! Do you have any questions, comment, and suggestions? Ask us! We love to hear from you!